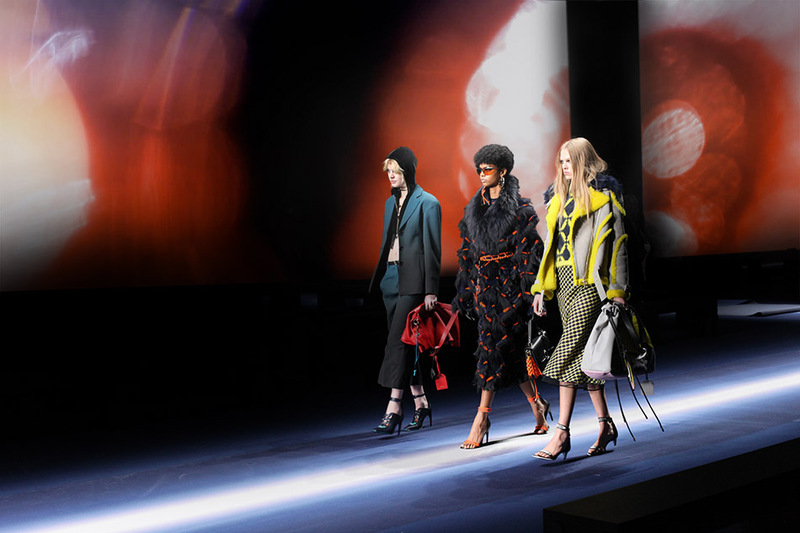 Studio Waldemeyer was invited to contribute the background design to the Versace Fall 2017 show. 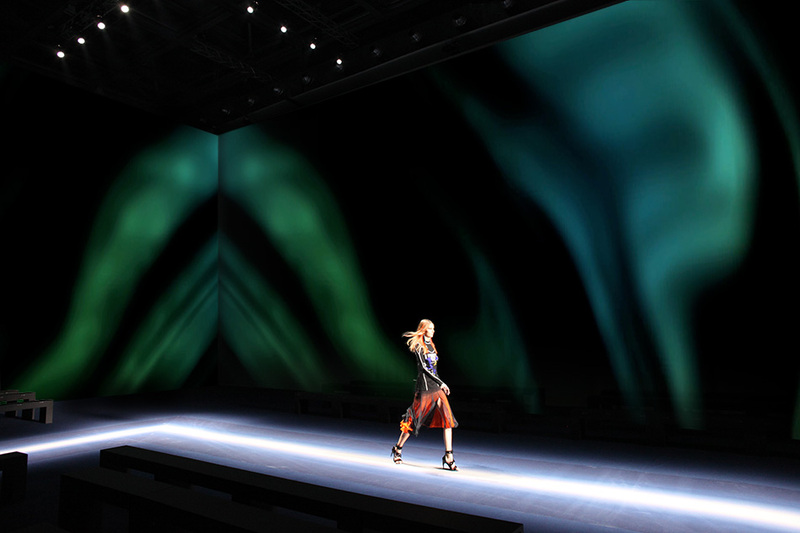 Inspired by the vivid colour fades and patterns of the Ready to Wear collection we designed a sequence of projections that moved from slow paced gradients via northern light inspired patterns to fast paced liquid ink animations. 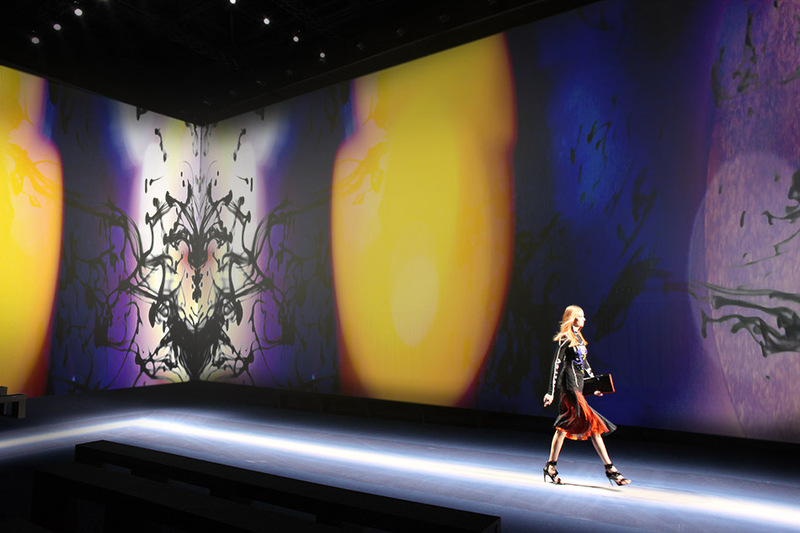 The studio approached this design brief using mostly traditional film making techniques mixed with digital effects to produce a vibrant organic look – the perfect backdrop to the glamorous and powerful Versace look. This entry was posted on Wednesday, May 3rd, 2017 at 4:59 pm. It is filed under ALL PROJECTS, FASHION, LIGHT DESIGN, PERFORMANCE, VIDEO. You can follow any responses to this entry through the RSS 2.0 feed.